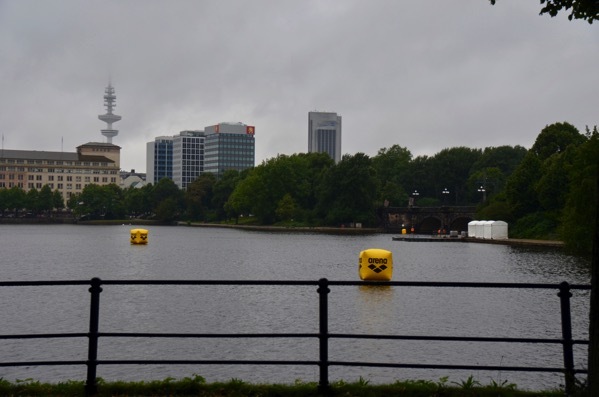 The buoys in the foreground are for the second part of the swim, the first part will go into the bigger “Aussenalster” and swimmers have to pass under the bridge next to the white tents on the right hand side. 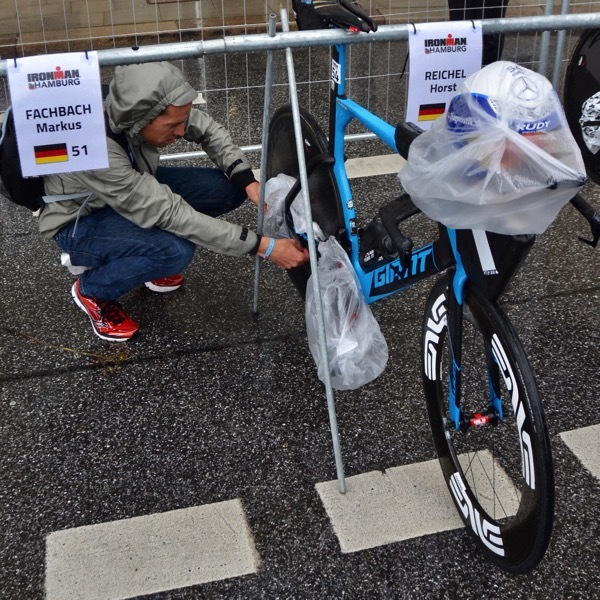 The weather for race day is supposed to be much better, but the rain added to the tension most athletes feel at bike checkin. 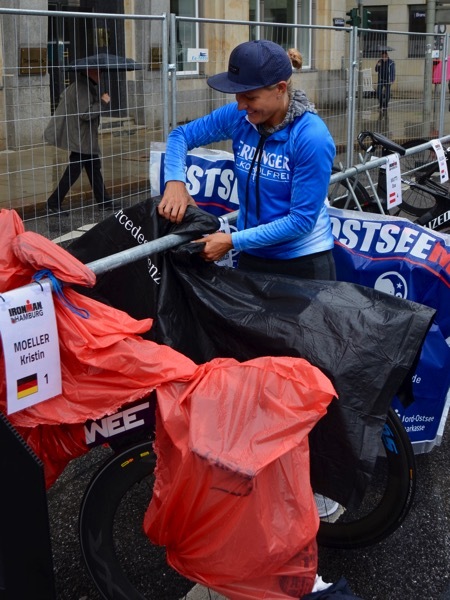 Eva Wutti (bib #4) was among the first to drop off her bike – it was setting unprotected in the rain, collecting a number of water droplets as the day progressed. 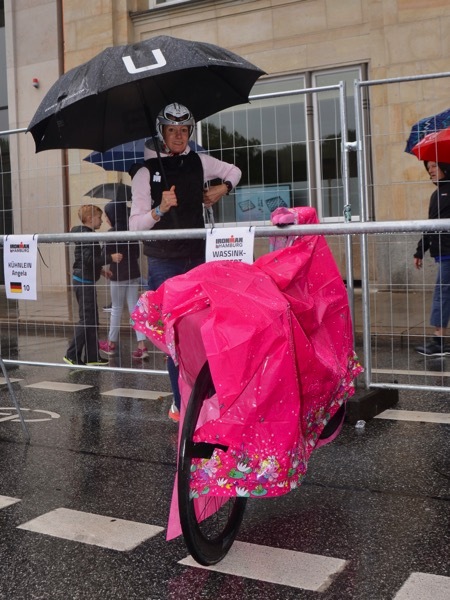 Hopefully her electronic shifting is water-proof! 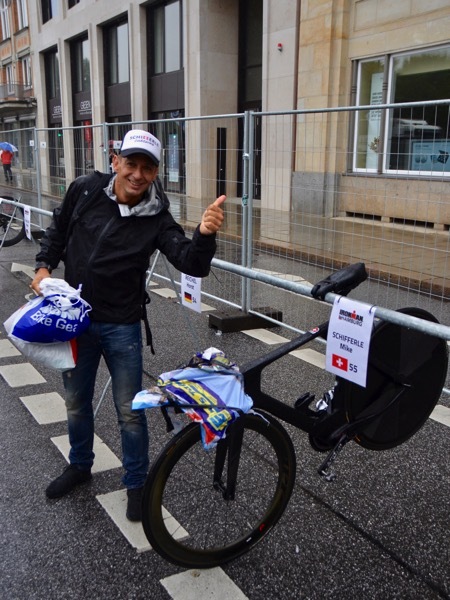 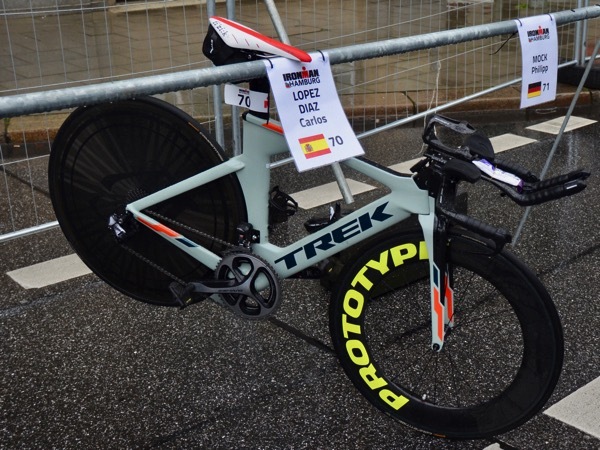 James Cunnama is the pre-race favorite on the men’s side – he was all business when he quickly dropped off his bike. 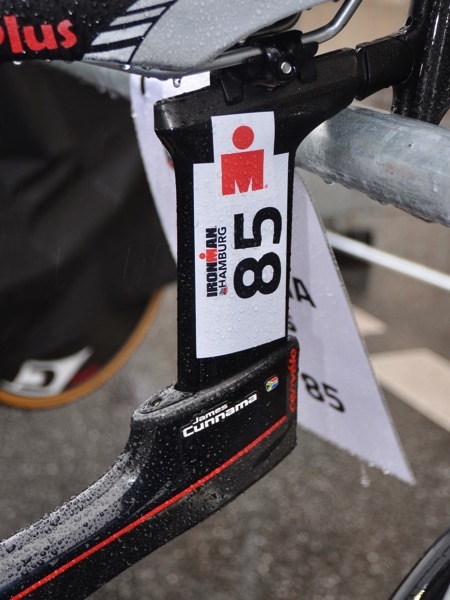 It didn’t take too long for the bike to be drenched, with some droplets forming on the seatpost of his P5X. 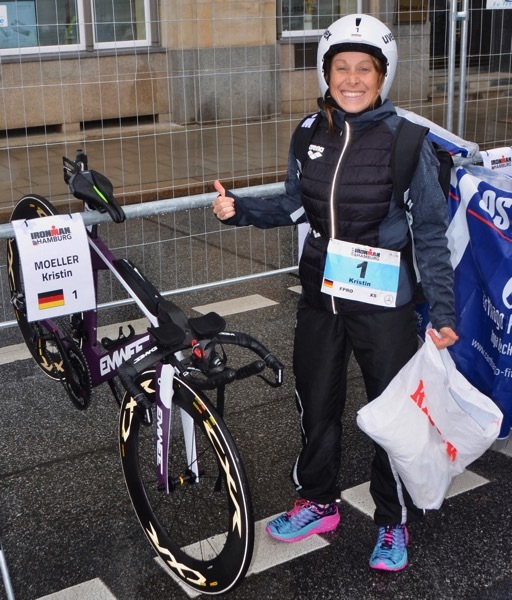 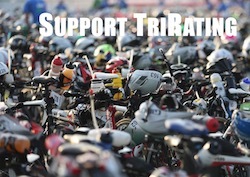 Happy racing to all starters at IM Hamburg tomorrow!